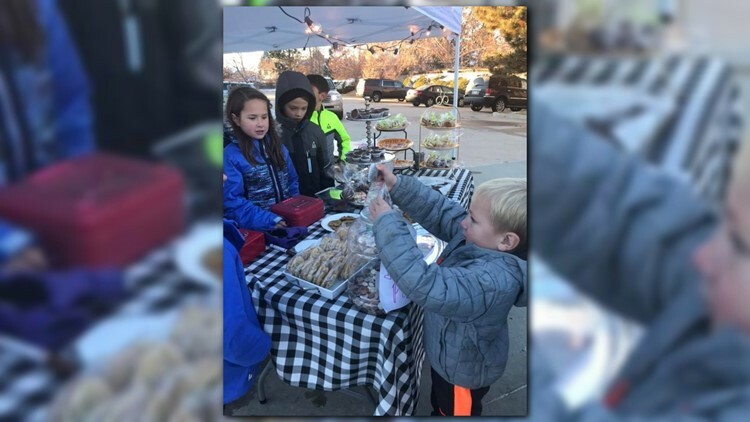 More than 20 Colorado kids helped run a bake sale on Monday benefiting victims of the deadly wildfires burning in Northern California. 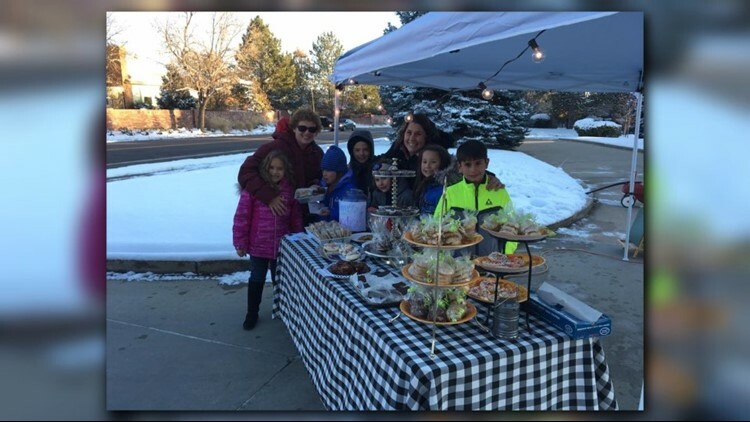 ENGLEWOOD — A group of local kids braved the cold and held a bake sale earlier this week to help raise money for those impacted by devastating wildfires burning in California. Amy Whitmore said her two young daughters, Hope, 8, and Gracie, 6, had the idea for a bake sale after seeing all the homes and churches lost in the Camp Fire. They quickly got to work by handing out flyers at school and encouraging other kids in the neighborhood to get involved. After some planning, the fundraiser was held Monday from 4 p.m. to 6 p.m. in the parking lot of The Church of Jesus Christ of Latter-day Saints in Englewood. Those who attended could choose from an array of baked goods including cookies, brownies, bread, and dinner rolls. Hot chocolate was also available. Whitmore said they didn't set prices on any of the items, but instead told people to just pay what they wanted. Those with less of a sweet tooth were encouraged to round up their spare change and donate to a “Pennies for Paradise” fund. Despite the chilly temperatures, Whitmore and the kids were impressed by the turnout. Whitmore said all of the funds collected will go towards those who have lost their homes in the fires.